APTUS has helped coaches learn more about athletes at the Combine. 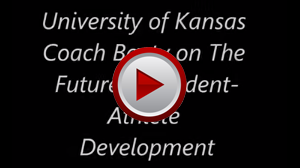 Hear how Coach David Beaty and the Kansas University team has been implementing the APTUS Assessment results into their season. Who will be next to take the APTUS assessment? 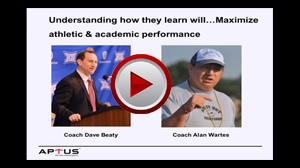 Learn how University of Kansas Head Football Coach Dave Beaty uses the APTUS assessment to help with his recruiting process. Listen to the full webcast The Future of Student-Athlete Development. 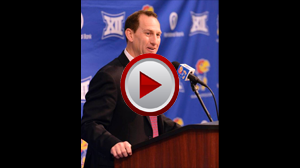 Hear University of Kansas Head Football Coach Dave Beaty explain how APTUS was able to fit into his coaching staff. Listen to the full webcast The Future of Student-Athlete Development. Teams consists of multiple players, many whom have different learning styles. Coach Alan Wartes of Air It Out Passing Camp talks about how the APTUS assessment can help coaches reach all of their players. Listen to the full webcast The Future of Student-Athlete Development. Coaches are very limited on time. The BLUF (Bottom Line Up Front) report helps streamline individual player information that is detailed, useful and easy to follow. Listen to the full webcast The Future of Student-Athlete Development. Do what you can to help kids reach their maximum potential. The results off the field matter just as much as the results on the field. Listen to the full webcast The Future of Student-Athlete Development. APTUS has helped the University of Kansas Head Football Coach Dave Beaty discover how his players learn so he can save time on the field and in the classroom. Listen to the full webcast The Future of Student-Athlete Development. 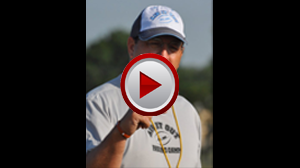 FULL VERSION: Discover how APTUS has helped in both team settings like at the University of Kansas with Head Football Coach Dave Beaty and in camp settings like at Air It Out Passing Camp with Alan Wartes. This video explains how to log in to the APTUS Client Portal, learn more about the APTUS product and methodology, set up a Certified APTUS Environment for taking an assessment, manage your account, and get help with APTUS-related issues. 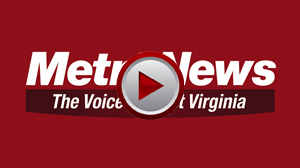 This video explains how to register for an APTUS account, download and install the APTUS Assessment app to your own iPad, and how to launch and sign into the app. This video explains the necessary steps to access online assessment reports from aptusdiscovery.com. Discover how APTUS has helped in both team settings like at the University of Kansas with Head Football Coach Dave Beaty and in camp settings like at Air It Out Passing Camp with Alan Wartes.